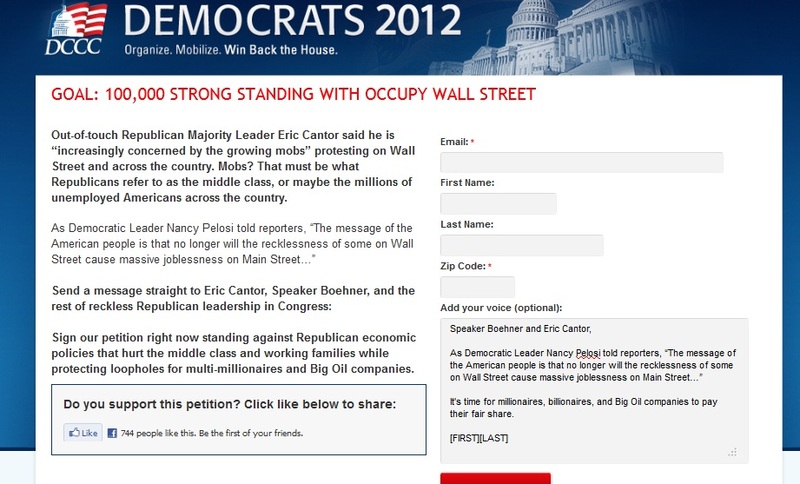 The Chairman of The DCCC (Democratic Congressional Campaign Committee) Steve Israel, who is supposed to be representing NY's 2nd Congressional District, never met a Progressive anti-Semitic or anti-Israel group that he did not embrace. The Long Island Congressman's latest "love affair" is with Occupy Wall Street whose members have displayed a hatred of both the Jews and the Jewish State. 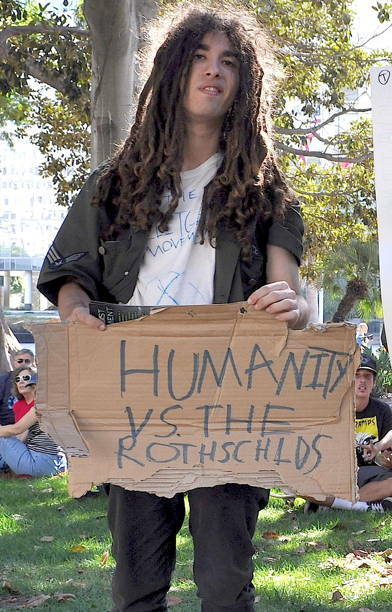 Its hard to believe that Congressman Israel hasn't seen any of the news reports of hatred coming out of the Occupy Wall Street movement. 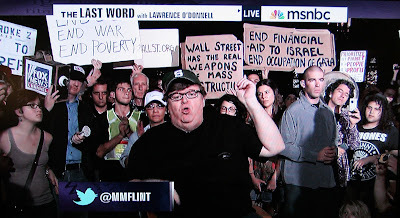 "The Jews who represent only 2% of the population...have pooled their money together an now control all the the finances of America"
When Michael Moore was covered by MSNBC as he spoke from an Occupy Wall Street protest, he was joined by anti-Israel protesters. 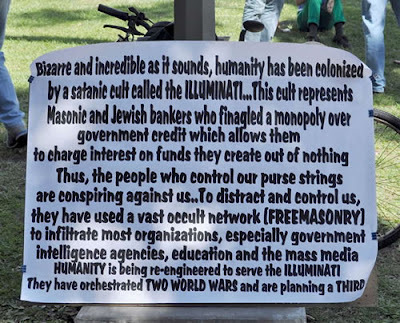 As reported by Carl in Jerusalem in his blog Israel Matzav one of Occupy Wall Street's organizers, Kalle Lasn, has a history of anti-Jewish writing. If Carl could find that out from thousands of miles away in Jerusalem, its hard to believe that Steve Israel couldn't find that out living 40 miles away from the NYC rally. This is not the first anti-Israel/anti-Semitic cause backed by Steve Israel, who represents a district with a large liberal Jewish population. When President Obama was trying to push the anti-Israel group J-Street down the throats of the pro-Israel community, the Long Island Congressman lent his name to the Organization. He didn't care that the group wanted President Obama to begin talks with the terrorist group Hamas and ease up the Iranian sanctions. Later on when J-Street tried to convince the US Congress to accept the Goldstone Report, a one sided UN Report with trumped up charges of Israeli War Crimes during the Gaza war, Congressman Israel was silent about the group for which he lent his support. As President Obama began to implement his anti-Israel foreign policy, Steve Israel who never before had been reluctant to speak out in support of Israel, was strangely silent. Even as Republicans began to stand up to support the Jewish State, Congressman Israel said nothing. His silence is the result of his inability to have a thought independent of the Administration. This past May when President Obama made his one sided anti-Israel Middle East there was plenty of criticism regarding Obama's call to begin negotiations with Israel ceding the disputed territories, but none of it was from DNCC Chair Steve Israel. And lets not forget the fact Congressman Israel accepts campaign funds from a man convicted for smuggling weapons to Iran, a country threatening to destroy the Jewish State. 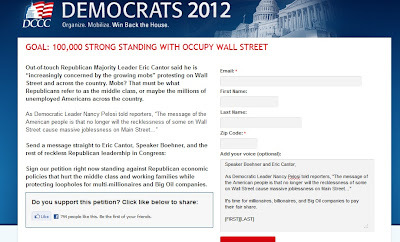 I do not believe that Congressman Israel believes in the Antisemitic/anti-Israel Stance of Occupy Wall Street, nor does he agree with the stances of J-Street or the Iranians his donor was convicted of arming. In fact there is no evidence that he agrees with the President's anti-Israel policies which he remains silent about. No, the DNCC Chairman is much worse than that. Steve Israel is a political hack, who abandons the Jewish State and the Jewish people, not because of an actual belief but because he wants to get ahead in the Democratic Party political organization. Sadly here in New York's Second 2nd Congressional District, we do not have a Congressman who represents this slice of Long Island, instead Steve Israel believes his role is to represent the national Democratic Party as well as everything this President says and does. Please, relax. There are going to be paranoid nuts and right-wing provacateurs showing up in a movement this big. This is about the sins of big financiers among other things, and the fact that Ashkenazis are disproportionately represented among the culprits should not be allowed to become a distraction for those who are trying to understand this movement. Better to take your cues from Joe Stiglitz, Bernie Sanders, Ben Bernanke, George Soros, and hopefully a ton more of good guys like them in the period ahead. Defend the defenseless and ignore the idiots, or at least don't throw the baby out with the bath water.